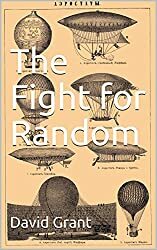 David, if we are keen to promote sortition, is it wise to focus so much on the word “random”, as this generally has pejorative connotations? In the UK the phrase “post code lottery” is a synonym for arbitrary and unfair. It strikes me that we need to make the positive case — hence the emphasis on statistical representation, stochation etc. Keith, your point is important. Here in the U.S. I perceive that the most negative association attends to ‘lottery’. Which is often conflated with ‘gambling’. Next up towards acceptability, ‘taking a chance’. ‘Stochastion’ doesn’t register. OK, so much for the quantitative. I am attracted to ‘random’ because I think it stimulates conversation. In particular it steers away from ‘gambling’. Yes, it does steer into determinism and fate. My ‘eight flavors’ are meant to provoke imagination. Using ‘random’ is a way of shaking loose the opposition, so to speak. Given that what we are proposing is something new (albeit with ancient provenance) I don’t see why we need to use familiar terms, especially if they have negative associations. If we want to draw on associations with a positive valence, I guess then juries would be a better candidate. What about “sampling”? I think this is the most suitable as well as the most positively-connoted term. ‘Sampling’ is good. Moderate, non-threatening. The reference to juries works better than bringing up ancient Athens. That detours into slavery and patriarchy. But people sometimes react against juries by saying that ‘everyone’ tries to get out of serving. Furthermore, the great majority of cases in the U.S. are concluded with a plea bargain in order to avoid a jury trial. Still, being judged by one’s randomly-chosen peers does carry a lot of weight. I particularly like using ‘sortition’. (The Latinate flows smoother than the Grecian ‘stochation’.) Americans are notorious for being attracted to something, anything, ‘new’. Advertisers slap ‘new’ onto everything. ‘Sortition’ is, for most people, new. It can be ‘the latest thing’! Minipublic, minipopulus, miniPeople, (mimipeuple, minipueblo …) seems a good option (without discarding jury or sample). Words as stochation are for a more sophisticated level. *** Athens is the one well known example of (ortho-)democracy, and, in its last stage, it included a prominent role of allotted juries. Therefore thinking about modern democracy-through-minipublics cannot be seriously carried on without considering the Athenian experiment. Maybe, if the 21st century world is full of (ortho-)democratic experiments, the Athenian case might be left to the Classicists, but, for now, it would be irrational. *** That said, the popularization of the minipublic model is another thing that the theoretical inquiry about its features and problems. Thus the practical question is: for popularization, which reference must we use? the classicist reference to Athens, or the “futurist” idea of minipublic, which can be supported by two contemporary realities, the judicial jury and the polling sample. *** I think we have to use both. The Athenian reference alone would appear alien to modernity, the “futurist” reference alone could be seen as a sci-fi utopia – when Dahl in his 1970 book “After the Revolution” introduced the idea of allotted councils, he was careful to remind his reader that sortition was a method dear to ancient democracies. *** Clearly, the use of the references in popularization may be adapted. If the target circle is very sensitive to “slavery and patriarchy” – actually common features of all ancient civilizations, we must be careful about these points, and we may give special weight to the “futurist” side. *** “Slavery and patriarchy” are not the one negative connotations of Athens. Some consider the Athenian reference as “Eurocentric”, even if Ancient Athens was geographically and anthropologically at the edge of Europe. The Athenian pederasty (actually a common Greek feature) may bring disrepute to Athens (either as homosexuality, or as akin to the contemporary concept of pedophilia). The Greek paganism may be an argument, too. In French debates about sortition I found sentences as: if we began imitating Ancient Athens, we will soon have to worship Zeus and Herakles. Here paganism was maybe more a mark of backwardness. More seriously, “Islamists” remind that dêmokratia is an idea born in Pagan times and lands. *** Depending on the target circle, we may put more or less insistence on the Athenian reference, and if one of its connotations is especially problematic, we must be careful to separate and disconnect it from the political model of the Second Athenian Democracy. Saying “Citizen juries,” “jury assemblies,” “minipublics” and “juries” chosen by “stratified random sampling” works for me, and is I think as accessible and non-problematic way of putting it as we can have. “Statistical representation” and “microcosm of the public” also seem good to me. Why the emphasis on “stratified”? While stratification may be used, it is not an essential or a particularly important feature of sortition. To most people “stratified” is just a meaningless term that appeals to scientific authority. I agree with Yoram. And we must beware some people may confuse allotted bodies and elected bodies with quota..
Yoram, Andre, the only point of “stratified” to me is to increase sample accuracy. Anyway, your point about it seems valid to me, (it is not meaningful to most people, and could confuse or mislead people). Yes it may be part of accurate random sampling but it is not necessarily a helpful added verbiage, and is perhaps more something to mention in a footnote or such to the main idea of random sampling.